The first day at FIB is always buzzing with excitement, with attendees bursting with energy ready to embrace the night ahead. This year, it was evident that the majority of festival-goers were in fact British. 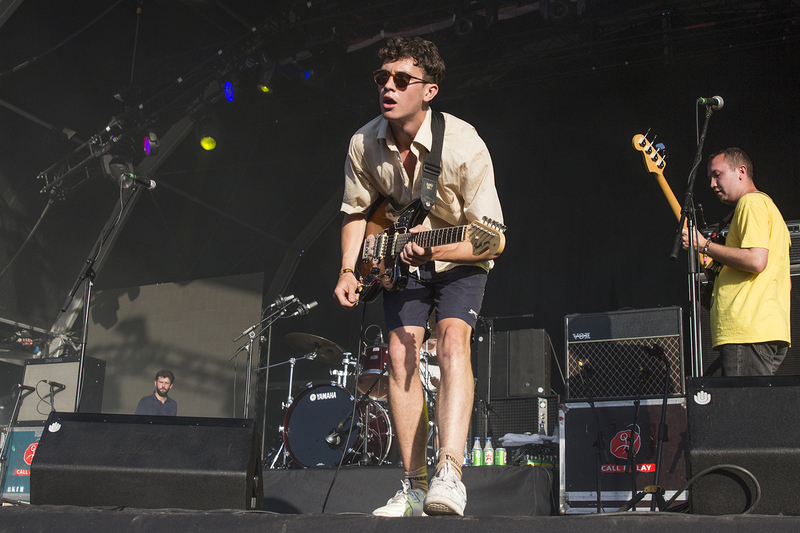 FIB can be described as the 'Reading and Leeds Festival abroad' and it honestly felt like it. However, the balance was maintained with the Spanish regulars also in attendance. As soon as we arrived, we headed straight to The Visa Stage to catch Brighton favourites The Magic Gang. Although they were playing an early(ish) slot, the stage was rather busy and it was evident that the band were feeding off of this dynamicity exerted from the audience. Particular favourites 'Jasmine', 'How Can I Compete' and 'All This Way' were the perfect tunes to dance to in the Spanish sun. The band's chemistry when playing live is something to be noted, their positivity, faultless sound and melodic harmonies ensure that all those in attendance are going to have a great time. Swiftly following this, Liverpudlian alt-indie duo Her's conquered the South Beach Dance Stage. Having not been able to catch this band play live before, we were eagerly anticipating what was to come and needless to say we were not disappointed! Both members of the band were evidently having a great time, displaying their fun and joyous personalities whilst performing tracks from their upcoming début album 'Invitation to Her's' out at the end of August. The summery beats included throughout the set combined with the bassist's energetic dance moves made the performance all the more intriguing. At one point, the duo started speaking French to the crowd, an interesting move despite being in Spain, however, seemingly fitting in regards to the band's genre description of 'Jangle Pop'. A rendition of Robbie Williams' 'She's The One' between tracks encouraged audience participation as well as reinforced Her's as being one of the happiest and fun bands out there. Make sure to catch them in a city near you whilst you still can! 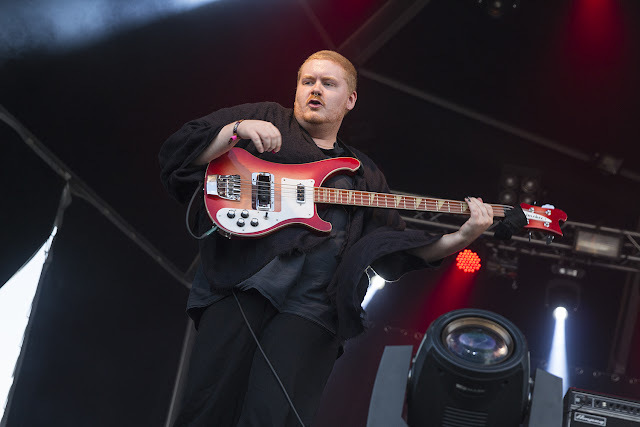 Following the release of their fourth studio album 'A Fever Dream', Everything Everything have been extremely busy touring as well as being nominated for this year's The Mercury Prize. We couldn't wait to see their set on The Visa Stage, ready to dance to the innovative indie art pop that they faultlessly deliver. 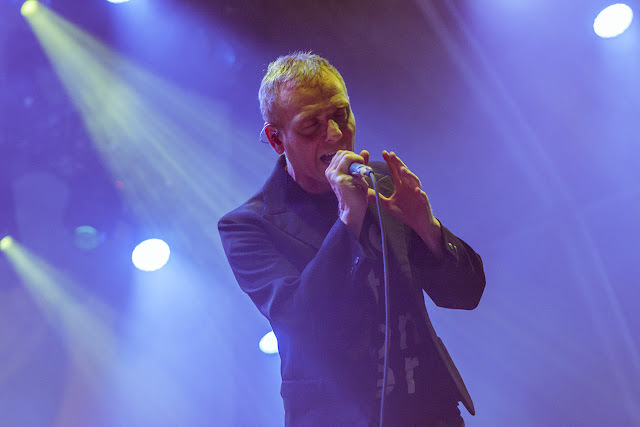 Frontman Jonathan Higgs' vocal in a live setting is nonetheless mesmerising and extremely impressive, flawlessly reaching the high notes in tracks such as 'Kemosabe' and 'Can't Do', the crowd were loving it! Towards the end of the set, the band played a concoction of favourites, from the fast paced 'Distant Past' to the lyrically poignant and musically intricate 'No Reptiles'. Everything Everything maintained their stance as an evidently exciting band who still have an endless repertoire of hits and crowd-pleasers. With the festival turning to night, the colourful lighting most definitely added another layer to the set, preparing the audience for the night ahead. Just before midnight, our indie favourites Two Door Cinema Club conquered the Las Palmas Stage (main stage) with a set brimming with all the hits. 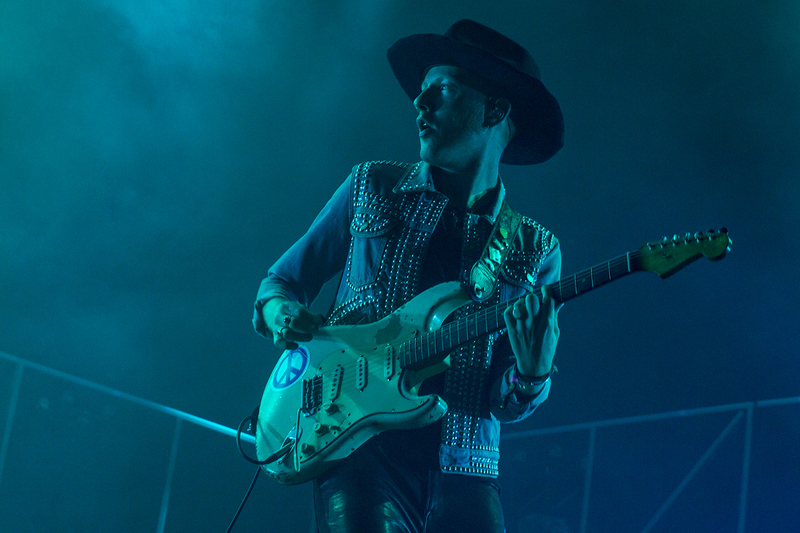 Frontman Alex Trimble took to the stage wearing a 'James Bay style' hat as it were, embracing what seemed like an entirely new look in comparison to previous performances. As soon as the first notes of 'Undercover Martyn' were played, it seemed that everyone at FIB was being magnetically pulled towards the Las Palmas stage. People were sprinting from all directions of the festival, hoping to get a good spot for the highly anticipated set. The stage was packed, attendees singing along to each song, nostalgia hitting when tracks such as 'What You Know', 'Changing of the Seasons' and 'Sun' were played. Two Door Cinema Club can never go wrong as a festival booking, seamlessly uniting the crowd together with the power of catchy tunes and encouraging smiles to be displayed amongst all in attendance. One of our 'Sounds of 2018' picks this year were indie pop band Pale Waves and rightly so, with this year setting to be their biggest with the announcement of their début album 'My Mind Makes Noises' due to be released in September and an extensive world tour. 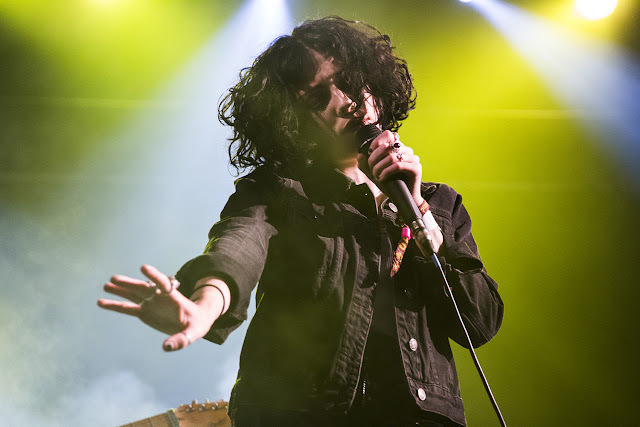 Pale Waves played the more intimate FIB Club stage on the Thursday night, however, it was evident that the Pale Waves hype had reached Spain as the tent was extremely sweaty and packed before the band graced the stage. The moody lighting prepared the crowd for the set to come, initiating a buzz amongst the audience. 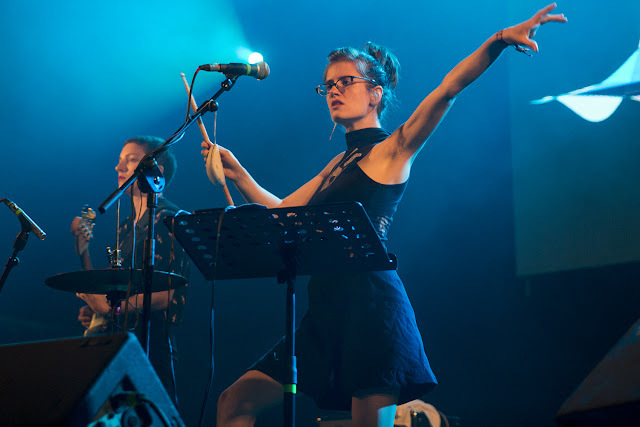 Front woman Heather Baron-Gracie took to the stage confidently with a beaming smile, ready to draw in fans old and new with her striking looks, indie pop tunes and extremely catchy lyrics. Having seen Pale Waves numerous times this year, we can honestly say that this performance was their best yet. The band's energy was on another level, their engagement with the audience was spot on and Heather's intriguing dancing was mesmerising. Near the end of the set, an excited fan even jumped the barrier to get closer to the stage, the band were laughing throughout the song. It was honestly quite the picture. Soon enough, security dragged the girl away. Ultimately, Pale Waves were certainly the highlight of the night, tracks such as 'Noises', 'Eighteen' and 'There's A Honey' got the crowd going and it was evident that Pale Waves are stars in the making. The second day at FIB started off with none other than Catfish and the Bottlemen on the main stage. The band have been rather incognito over the past year, so seeing them play a live show after so much time was really exciting for all the festival-goers and fans in attendance. Sporting a slick 'band' look of all black in the 32 degree heat, one wonders how they managed to perform such an energetic, engaging set. Van McCann was obviously suffering in his thick denim jacket, but he did not let that get in the way of his performance. He would regularly come to the front of the stage, interact with audience members, tell people to 'go on shoulders'. It was just the reminder of why we always loved Catfish and the Bottlemen all those years ago. The set was brimming with all our favourite tunes, mosh pits galore and also a smoke bomb appearance throughout '7'. A new song 'Fluctuate' was introduced, containing a very catchy chorus it only makes us all the more excited for new material. The crowd singalong was in full force, even a short rendition of Bruce Springsteen's 'Dancing in the Dark' was introduced at the end of 'Cocoon'. The ending of 'Tyrants' always closes the set in the best way possible, with the crowd chanting in anticipation throughout the instrumental and leading towards the climactic ending. We can't wait to see what the rest of the year holds for this band, hopefully a third album is on the horizon? 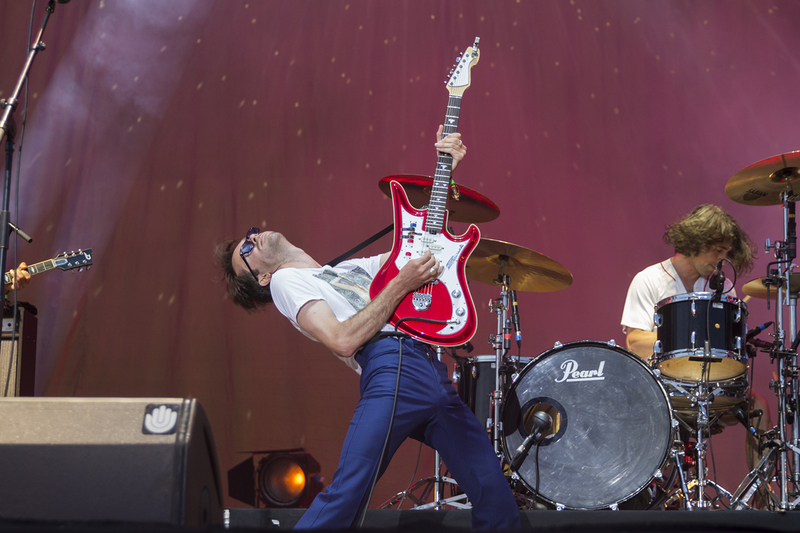 London indie rockers The Vaccines followed on, conquering the Las Palmas stage yet again following their incredible set exactly two years previously at FIB 2016. Having released their fourth studio album 'Combat Sports' earlier this year and introducing two new band members, The Vaccines are certainly adopting a fresh outlook and even more energy than ever before. All five members took to the stage confidently, receiving great cheers from the crowd throughout. 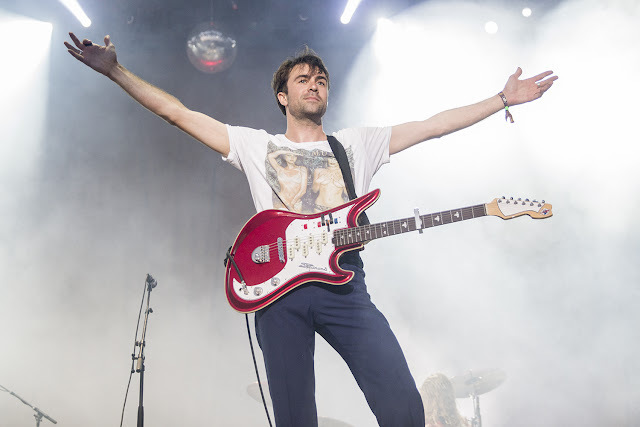 Launching straight into new fast-paced track 'Nightclub', The Vaccines provoked the mosh pits to develop as well as the non-stop dancing from all those in attendance. Old favourites such as 'Wetsuit', 'Norgaard', 'All In White' and 'If You Wanna' all made an appearance within the hour-long set. Frontman Justin Hayward-Young is always quite the performer, constantly walking across the stage, falling on his knees, making eye contact with the audience. The Vaccines are always interesting to watch and are guaranteed to play all their hits as well as new catchy tunes such as 'I Can't Quit' and 'Your Love Is My Favourite Band'. Due to illness, Rag'n'Bone Man had to pull out of this year's FIB which was unfortunate for the other bands playing The Visa Stage as it meant their sets slightly clashed with those on the main stage. Although British rock band The Charlatans' set clashed with The Killers, the crowd in attendance was made up of primarily Charlatans fans, with each and every person effortlessly singing along to all the lyrics with excitement and passion. Frontman Tim Burgess' dancing was somewhat interesting, his bleached blonde hair radiantly reflected under the colourful lighting, creating a vision that was captivatingly intriguing. With a setlist which included a healthy mix of tracks from numerous albums, The Charlatans really proved why they were (and still are) one of our favourite Britpop bands. The climax of Day 2 was reached when we attended The Killers' set. Brandon Flowers strutted around the Las Palmas stage to the opening chords of 'The Man' whilst confetti simultaneously enveloped the crowd. Constant cheers came from those in attendance, as needless to say, The Killers put on quite the show. Brandon Flowers' charismatic stage persona was undoubtedly mesmerising, chiming straight in with a powerful rendition of 'Somebody Told Me', we braced ourselves for the night ahead. Particular highlights included when a fan was brought up on stage to replace Ronnie Vannucci throughout 'For Reasons Unknown' to play drums (and it was amazing! ); Van McCann joined Brandon Flowers for an incredible rendition of 'Read My Mind' and for the encore, Flowers emerged in his staple shiny gold suit which just put the cherry on the cake. More confetti cannons were unleashed in 'All These Things That I've Done' and an electronic rendition of 'Mr Brightside' followed by the more familiar version ended the set on a high. The Killers continue to prove themselves to being one of the best bands around and their headline sets are always ones to remember. After drummer Ronnie Vannucci threw out his drumsticks to an eager crowd, he took to the microphone and stated a bunch of numbers followed by the phrase 'Call Me'. We can only wonder whether anyone in the crowd actually memorised these numbers and managed to get through to him! Saturday had arrived which meant that noughties indie favourites The Kooks would be gracing the main stage any minute. Heaps of people ran to the stage ready for their Saturday night to commence in the best way. Opening with 'Bad Habit', The Kooks initiated their 16-song set faultlessly. 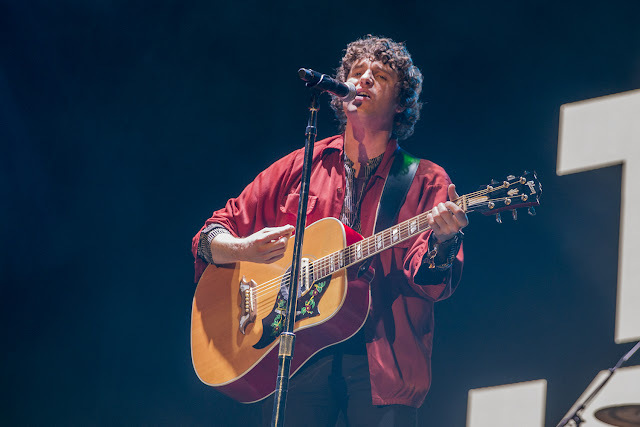 Following a spell of bronchitis the week beforehand, frontman Luke Pritchard couldn't have seemed any better. His vocal was spot on and crystal clear, sounding alike to the the recordings from throughout the years. Dancing around the stage, Luke's vibrant energy encouraged the crowd to dance along with him, as well as participate in chants and sing along to all the catchy choruses. New single 'Four Leaf Clover' reminds us why The Kooks are one of those bands who will remain 'classic' in our eyes, their sound is consistent, listenable and tunes are always memorable. The happiness circulating the audience was quite the picture, everyone smiling, jumping and singing along. Finishing with 'Junk of the Heart' and 'Naive', we can honestly say that The Kooks met expectations and smashed their FIB performance. The Horrors brought their shoegaze and goth rock to The Visa Stage. Following the release of their critically acclaimed fifth studio album 'V', The Horrors are certainly making their mark on the independent music scene. 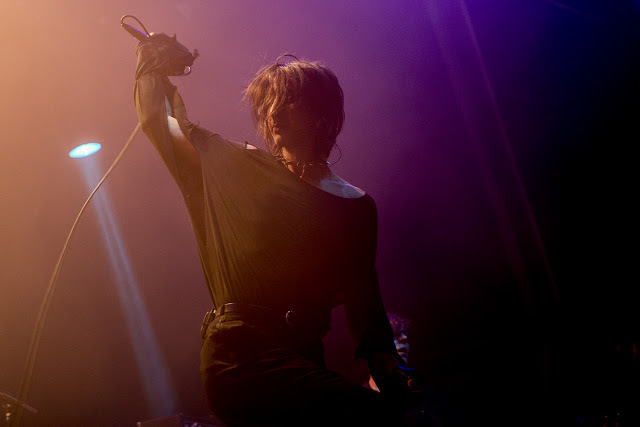 The moody, dark lighting combined with interesting arrangements, innovative instrumentation and poignant lyrics faultlessly permitted the audience to engage with what The Horrors stand for. Frontman Faris Badwan was sporting an all black androgynous look, a dark, slim figure in the mist of the dry ice. His vocal was encapsulating, with the newer tracks such as 'Machine' and 'Something to Remember Me By' hinting at 80s influence as well as bringing back the synth pop layer. 'Still Life' was also a memorable moment in the set, with the crowd singing along to every word as well as the festival darkness contributing to The Horrors' intriguing aesthetic. One of the highlights of the night without a doubt was finally being able to see New York indie punk band Bodega on the FIB Club stage. There has been a hype circulating this band over the past year, with the release of their début album 'Endless Scroll' and playing numerous shows on an international level, we couldn't wait to see what Bodega were all about. We can say that they did not disappoint! The band themselves were extremely interesting to watch, their front woman in particular dancing and leaping around the stage in her kitten heels waving her drumstick in the air in time to the music. Adopting the views on the impact of technology on our lives 'Endless Scroll' indicates this and what better way to visually represent this than having a computer mouse hanging from the microphone. The fast drum rhythms, poetic improvisation and energetic presence most definitely captivated those in attendance. The band had to re-start a song, with which their front woman states, 'This happens, but was it real, are we real?' You can tell that this band definitely provoke and stimulate thought and interpretation throughout their songs. It was also refreshing to see a band dominated by women taking to the stage. Towards the end of the set, the guitarist spoke Spanish and explained that his friend had passed away and dedicated a song to him which was very touching. Bodega's set was certainly memorable and we can only assume that each show of theirs is totally different. We can't wait to see them again! 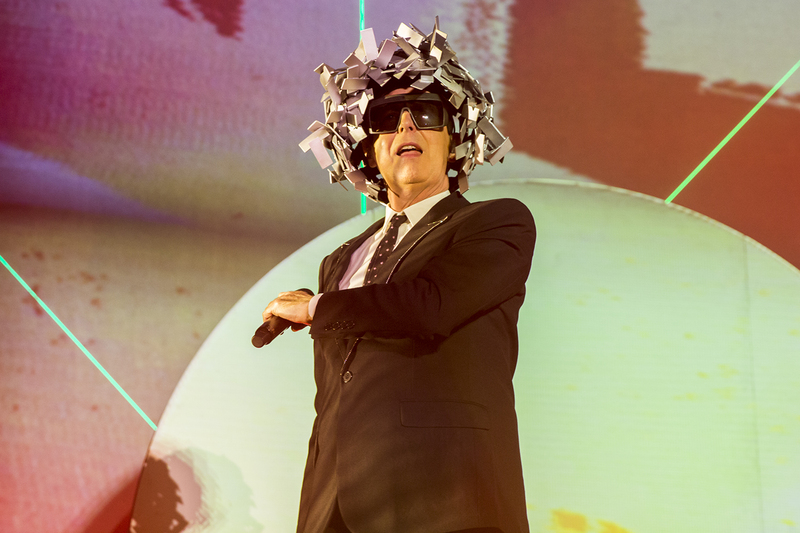 Saturday night headliners, Pet Shop Boys were one of the unexpected announcements of the festival. However, there was still a buzz surrounding this set, one cannot fault their legendary hits such as 'Go West', 'West End Girls' and 'Always On My Mind'. They are guaranteed to get the crowd going and encourage the festival atmosphere to reach a whole new level. 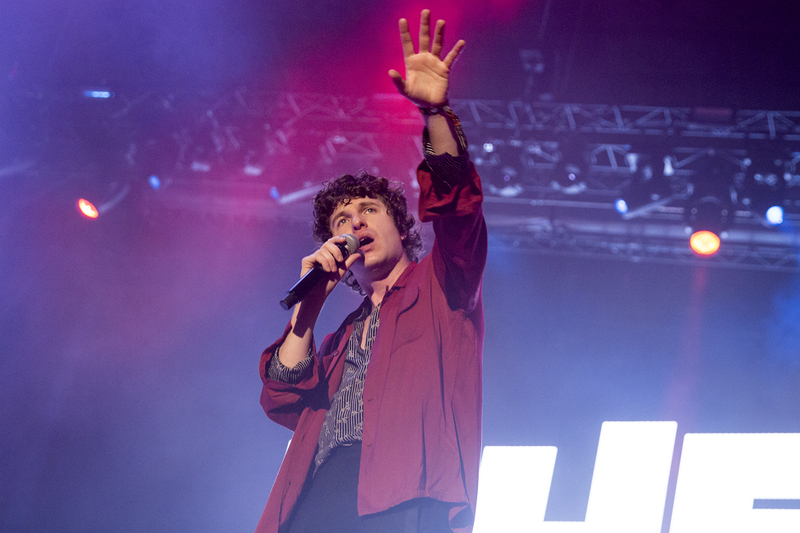 The crowd was brimming with a broad demographic, young teenagers as well as middle aged audience members were preparing for a fun and dynamic headline set from the British pop duo. Adopting numerous costume changes, colourful lighting arrangements and exciting props, Pet Shop Boys' set was undoubtedly spectacular. The 22-track long set was a healthy combination of classics as well as tracks from 'Super', encouraging fans old and new alike to have the time of their lives. Their performance was a dynamic set that was perfect for the Saturday night headline slot, Pet Shop Boys put on a stellar show! 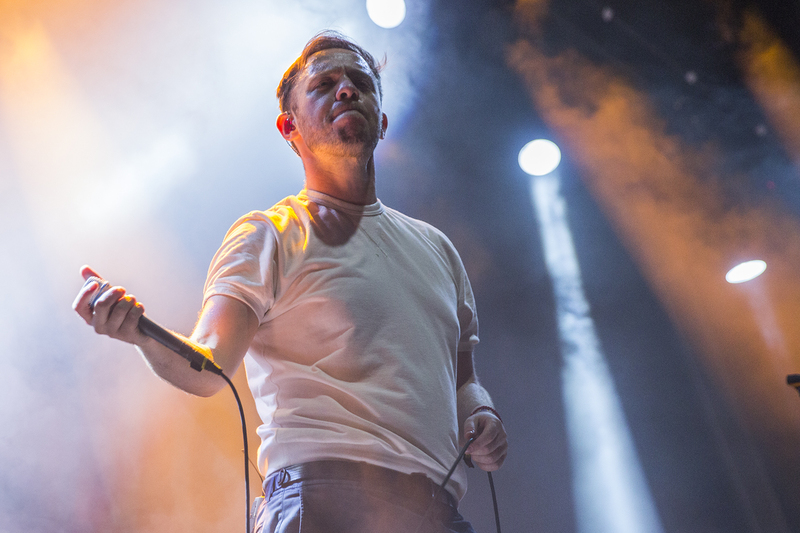 Glaswegian outfit Belle and Sebastian took to the Visa Stage at 1 in the morning, embracing the late night yet faultlessly energetic festival atmosphere. Performing an array of hits, the band engaged with the crowd immediately. The atmosphere was electric, attendees dancing throughout the space, it was an undoubtedly joyous moment. The rain began to fall but this did not dampen the festival mood at all, colourful umbrellas popped up amongst the audience, confetti was thrown. The entire area was vibrant. Towards the end of the set, frontman Stuart Murdoch invited eager fans in the front row to join him on stage for two songs. The smiles on their faces were priceless throughout, everyone was having the best time! At one point, Murdoch brought the fans to the front of the stage to sit down next to him, one got his phone out and Stuart Murdoch jokingly states , 'No phones here, move along one, you're now in the naughty seat'. Again, this just emphasised how people need to live in the moment, this performance was just that - the crowd were appreciating incredible music and experiencing the festival feeling to its full potential. Soon enough, the last day of FIB had approached. The festival seemed somewhat calmer and less busy, but everyone was just as yet eager to have the best Sunday they could have! 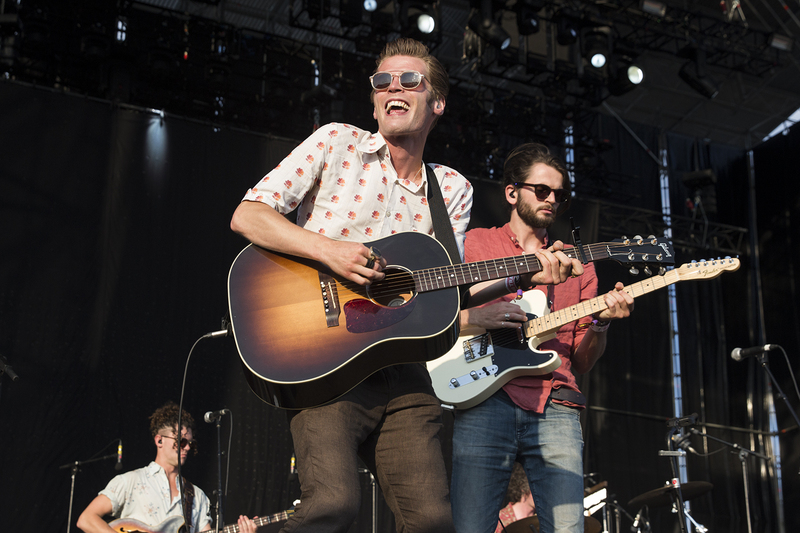 Due to logistical issues, Hudson Taylor's set was moved to a slightly later slot on the Las Palmas stage. The indie folk duo were returning to Benicassim armed with more catchy tunes and a very talented band consisting of the genre 'must-have' (a violin). Numerous fellow Irish people were definitely in attendance, flags were appearing throughout the main arena and the audience sing-along volume almost drowned out the band at one stage (during 'Care'). Happiness was radiating amongst the crowd, even the festival security were dancing to Hudson Taylor. The heavy rain from earlier in the day had evidently passed, the scorching sun was back and provided the best weather to commence Day 4 of the festival. North London ska legends Madness played a non-stop festival slot consisting of all the hits which were ultimately crowd-pleasers. Opening with 'One Step Beyond', the crowd started moshing, beers were flung and arms were waving in the air. Madness were encouraging madness to ensue and it was honestly one of the most exciting sets of the weekend. 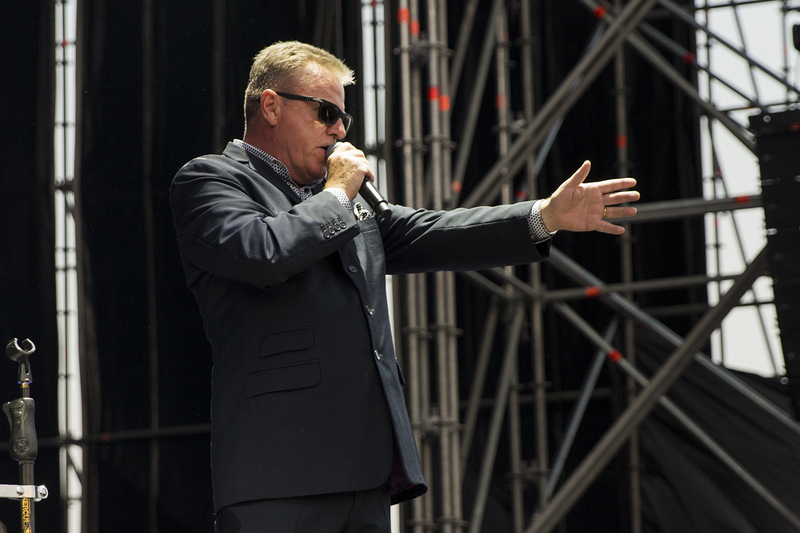 Frontman Suggs is still going strong, dancing on stage, making jokes with his band and seemingly having a great time performing with his band. The second half of the set consisted of banger after banger, with 'Our House', 'Baggy Trousers' and 'It Must Be Love' all receiving the most enthusiastic response from those in attendance. The band even came on for an encore (a rarity usually during festival sets), treating the crowd with 'Madness' and 'Night Boat To Cairo'. The broad demographic were singing along to each tune, all dancing, thus showcasing Madness as being a timeless British band who will never get old. Overall, the set was heaps of fun and perfectly prepared the crowd for the night ahead. Mercury nominated London indie rock outfit Wolf Alice took to The Visa Stage swiftly afterwards, providing a dream pop atmosphere with tracks such as 'Don't Delete The Kisses', to more retro indie with 'Beautifully Unconventional' and to the heavier 'You're A Germ' and 'Moaning Lisa Smile'. The band's chemistry was evident and truth be told, they really sounded their best. 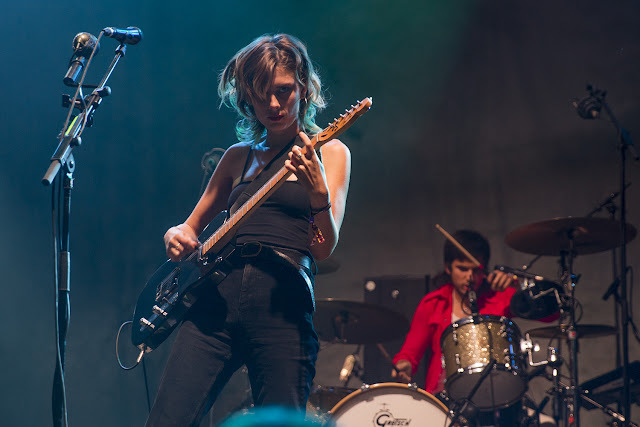 Ellie Rowsell's vocal was something else, with rich tones that enveloped the audience as well as rock-tinged screams which resonated throughout. There is no doubt that she is one of the best indie front women around. Consistent catchy guitar riffs and driving drum beats ensured each track faultlessly displayed unique qualities during the set, bringing about a sense of intrigue as well as hooking the audience from the first chord. It was now time for indie pop quartet Bastille to perform on the Las Palmas stage. Since playing at FIB in 2015, Bastille now have a new album under their belts as well as a new single which will be forming part of their third album release (hopefully later this year!) Their extensive energetic repertoire was evident from the get-go, opening with hit single 'Good Grief'. The crowd were loving it, singing to each track as if the lyrics had been engrained in their minds forever. Frontman Dan Smith also showcased his new hairstyle, sporting the shaved head look which was revealed in the Quarter Past Midnight music video two months ago. The set was extremely colourful, with each band member being circulated by a different block colour and the drum kit exhibiting some kind of rainbow theme. Hopefully this change of aesthetic is gearing us towards the new album and the band's new direction. A healthy mix of tracks from 'Bad Blood' and 'Wild World' were included throughout the hour-long set, ensuring all the hits were present. During 'Of The Night', Dan invited the audience to join him in dancing, telling everyone to 'crouch down' and then 'jump' when the chorus came. The whole arena converted itself into a sea of people down on the floor, it was quite the picture! New single 'Quarter Past Midnight' came across even better live as it does recorded, with harmonies embellishing the choruses as well as driving drum rhythms which give the track that distinct 'Bastille sound'. 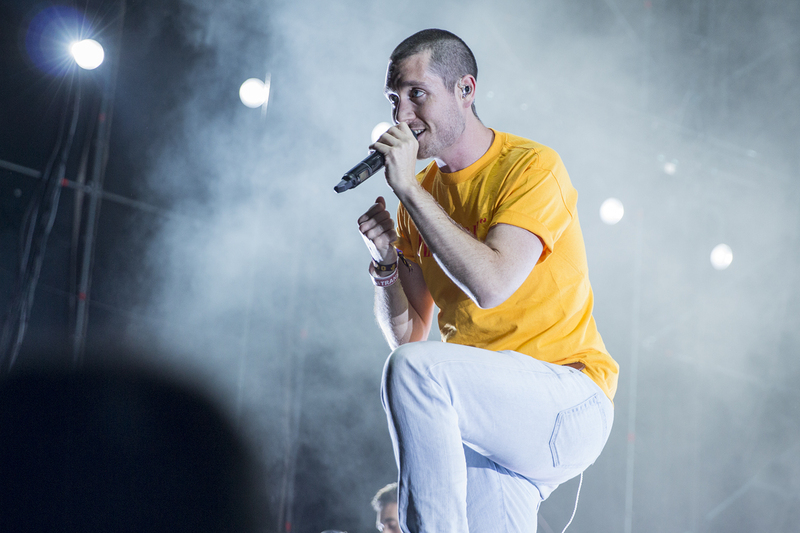 Finishing with Bastille classic 'Pompeii', the British band really have perfected their festival performances, engaging the crowd and bringing their catchy indie pop to the masses. As the band exited the stage, echoes of 'Eh eh oh eh oh' circulated the audience, evidence that Bastille are certainly one of the bands of our era. 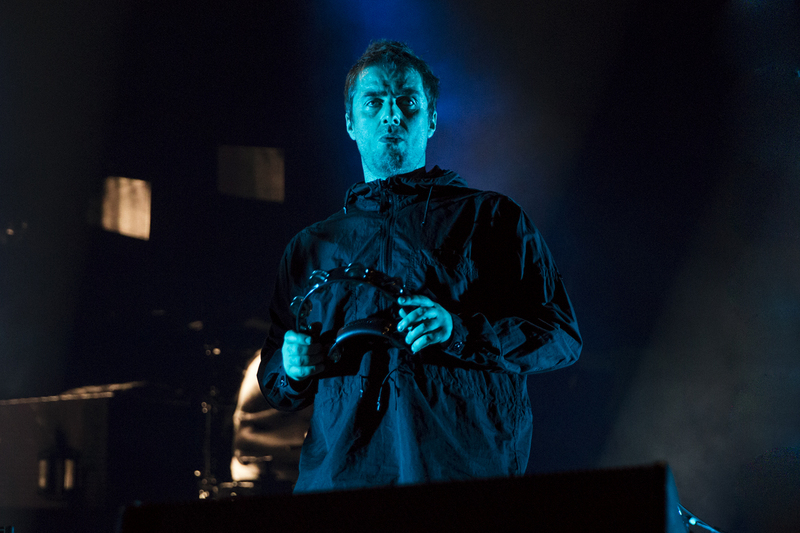 Having played FIB the year beforehand, Liam Gallagher was back, only this time he was headlining the Sunday night. Eager Oasis and Liam fans flooded the main arena hours beforehand, anticipating the headline set that they had been looking forward to all evening. 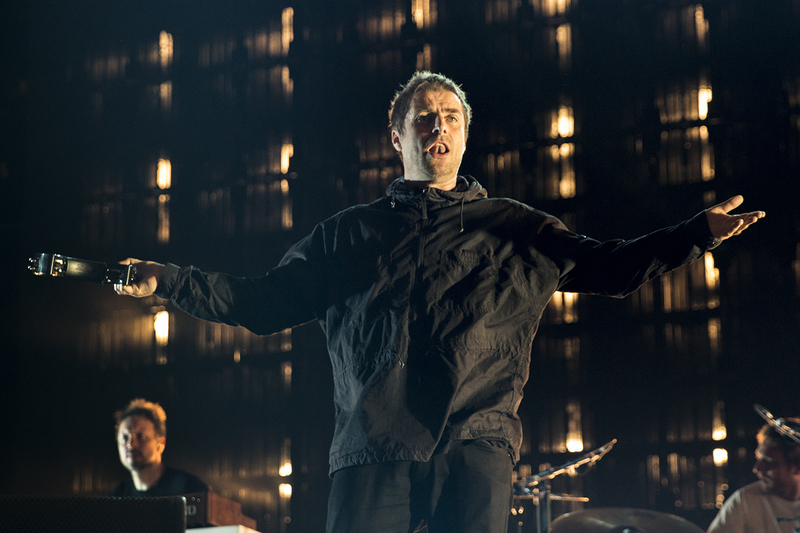 Having released number 1 album 'As You Were' in October last year, we couldn't wait to hear the incredible tunes from Liam's solo album live in an electric festival atmosphere. Liam confidently graced the stage, tambourine in one hand and obviously sporting the parka look (in the 30 degree heat may I add!) Opening with 'Rock'n'Roll Star', Liam immediately got the crowd going on a whole new level. Mosh pits formed, people pushed to the front, the crowd became a sea of excitement, everyone hoping to get a glimpse of the legendary Oasis star. Tracks from 'As You Were' were received just as well as the Oasis classics, with people reciting each and every word back to Liam. The slower, more poignant tracks such as 'For What It's Worth' and 'I've All I Need' provided a moment of reflection as well as captivation for such a special moment. Liam's band provided the perfect foundation for his vocal, with the balance and intricate instrumentation being spot on throughout. Following an incredible rendition of 'Supersonic', someone threw a whole raw fish on the stage which landed precisely by Liam's monitor. Mr Gallagher wasn't entirely impressed but explained 'This is smelly' but 'I have seen a lot worse things'. He then got his roadie to get rid of the fish, throwing it into the security pit. Liam's face was priceless, he even resulted in replacing the lyric in 'Cigarettes and Alcohol' to 'Cigarettes and Sea Bass'! Following on with more Oasis classics, Liam finished the set with 'Live Forever' and 'Wonderwall', which brought about a sense of nostalgia and unity to the crowd. People were on shoulders, everyone singing along, the moment was magical. Liam's comedic personality shone through and we can honestly say that he headlined the festival in the best way possible. Having had their set moved due to logistical issues to 2am, British post-punk outfit Shame took to The Visa Stage and what a set it was! Frontman and vocalist Charlie Steen encouraged havoc with the audience, coming down from the stage a number of times and successfully crowd-surfing at the end of the set. Although those in attendance were most probably exhausted from the non-stop four days of partying, Shame's set clearly struck a chord with all. Everyone was jumping, dancing and chanting along. Wolf Alice were amongst those in the audience, encouraging mosh pits to form throughout the set. 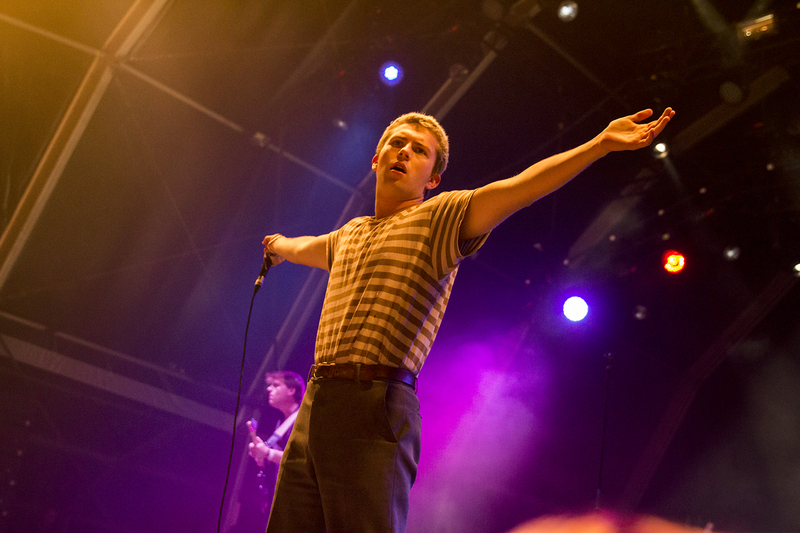 Shame also treated the crowd to a new song which again was extremely catchy and proves to show why Shame are one of those live bands who are on the rise this year. Photography by Courtney Farrell .